People have a preference for one of three primary senses in their communication: Sight, sound, or feeling. 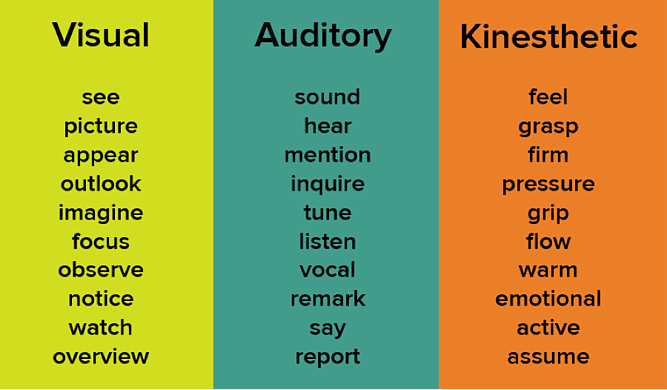 These innate biases make them more respond more favorably to visual, auditory, or kinesthetic language. Speaking your prospect's preferred language facilitates rapport building, making you easier to trust. Therefore, word choice is critical in sales.You’ve heard prospects use phrases such as “It looks good to me” (visual) or “It sounds good to me” (auditory) or “It feels good to me” (kinesthetic). 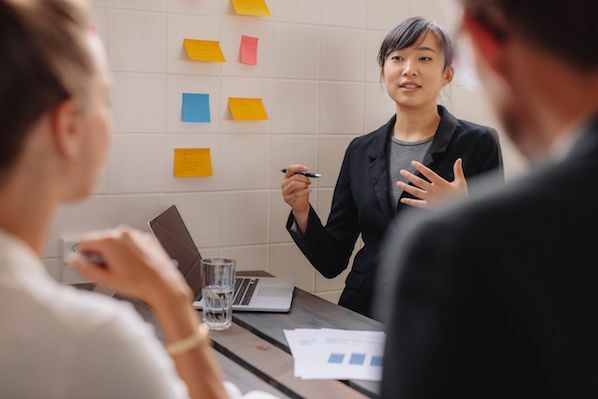 These phrases, and others like them, provide useful information on the buyer's thinking process and give you insights on how to communicate more precisely and persuasively. This is especially valuable in inside sales where non-verbal feedback is absent. 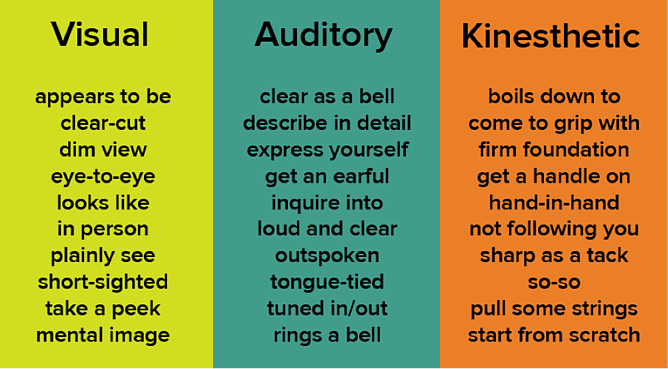 Once you determine which primary sense (visual, auditory, or kinesthetic) the prospect is most comfortable with, you can focus on word choice to make a better verbal connection. Here’s a brief list of sensory words and phrases that can help you grab and hold your buyer's attention more effectively. 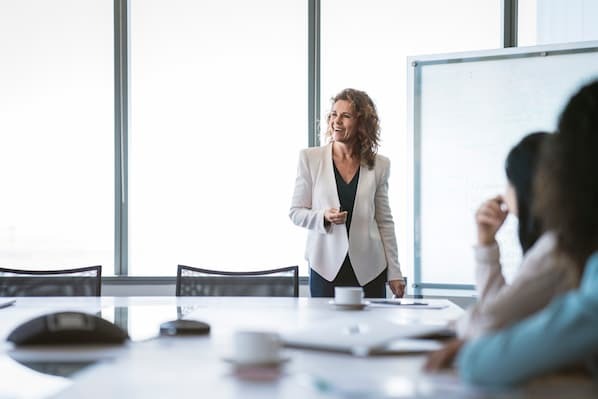 Now, let’s assume you were selling a technical product and you were able to determine which of these three communication mediums best suited your customer. You would then use different messages for each person. "Take a look at the new Model 43. Notice how the new design makes it easier to observe the monitor scope." "Let me tell you about this new Model 43. Just listen to how quiet it is. It hardly makes a sound." "Wait until you get your hands on the new Model 43. 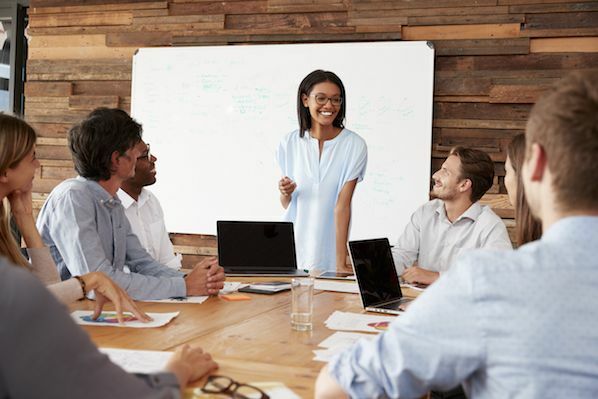 Once you get a handle on its operation, you’ll have a better sense of why some people feel so strongly about how it can impact their operations." By listening to the words your prospects use, you will get insight into their communication bias. And by adjusting your selling style and word choice accordingly, you will make rapport building easier and improve your sales results. Editor's note: A version of this post originally appeared on the Sales Improvement Group blog. It is republished here with permission.